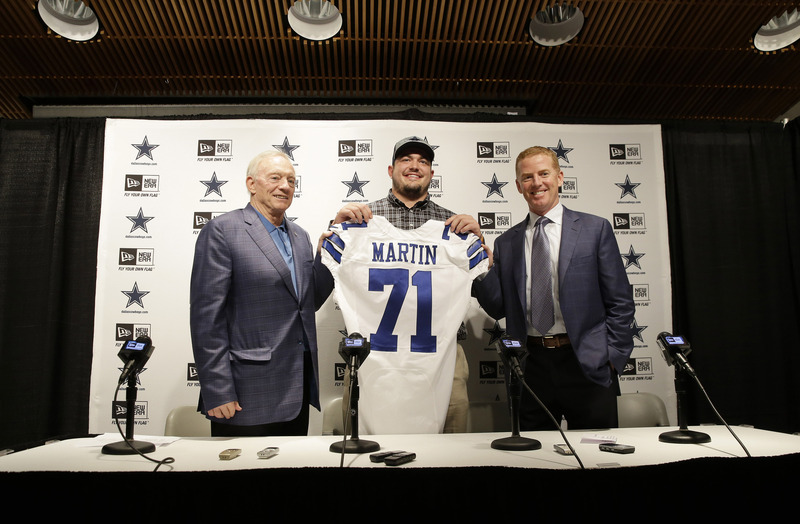 Five years ago, the Dallas Cowboys landed two of their marquee talents in Guard Zack Martin and Defensive End DeMarcus Lawrence in the 2014 NFL Draft. Today, these players are arguably the team's best talents on each side of the ball. As we prepare for the 2019 Draft, it seemed a good time to look back on the overall success of the 2014 class. After five years is a great point to reevaluate a draft. It tells you who landed a second contract with their original team, or found a new home in free agency after their rookie deal ended. It also shows who might not be in the league any longer. We know Martin and Lawrence became major stars, but what about the other guys drafted in 2014? What impact did they have, if any? We'll work our way down the line. To start, we get to bask in the glory of one of the Cowboys' best all-time picks. This draft may always be remembered for the discussion around Quarterback Johnny Manziel and Jerry Jones' rumored infatuation with him. But with Tony Romo still firmly entrenched as the team's starter, the team wisely passed on Manziel and bolstered their offensive line with Zack Martin. Five years later, Martin is generally considered the best guard in the NFL. He has been to the Pro Bowl every season, even as a rookie, and has been named to either the First or Second All-Pro Team every year. Zack started every game for Dallas from 2014-2017, then missed just two last year for injury and veteran rest. He has been as durable as he's been outstanding. Since Martin joined the Cowboys, a Dallas running back has led the league in rushing three out of five years; DeMarco Murray in 2014 and Ezekiel Elliott in 2016 and 2018. Elliott was on pace to lead again in 2017 if not for his suspension. You could look back and say Dallas would've done well to trade up three spots and land DT Aaron Donald, or perhaps take LB C.J. Mosley, who went at #17 to Baltimore. But for where they got him and the player he turned out to be, Zack Martin gives no reason for regrets. 2nd Round - DeMarcus Lawrence, DE, Boise St.
Dallas traded their 2nd and 3rd round picks to Washington to move up from 47th to 34th and draft DeMarcus Lawrence. One month earlier, the Cowboys had released veteran DeMarcus Ware in a cap-saving move. Lawrence didn't feel Ware's shoes right away, struggling as a rookie, but he started to emerge with seven sacks of the team's final eight games of 2015. Suspension and injury hampered him again in 2016, but then DeMarcus broke out with 14.5 sacks in 2017 and a Pro Bowl trip. Playing on the franchise tag last year, Lawrence posted 10.5 sacks and remained on of the top run defenders in football. He was named to the Pro Bowl a second-straight time. Just last week, DeMarcus and the Cowboys agreed to a new five-year deal that makes him one of the highest paid defenders in NFL history. While Lawrence didn't hit the ground running, he eventually found his stride. The end result has been exceptional value for a second-round pick; a defensive end that most teams would happily spend a Top-10 pick to acquire. Washington used the picks Dallas sent them to take LB Trent Murphy and OL Spencer Long, who have been solid starters but hardly star players. Outside of a few of the 2nd round receivers such as Jarvis Landry or Allen Robinson, it's hard to put together any pair of picks that would equal what the Cowboys eventually got in DeMarcus Lawrence. Dallas got considerable value out of this pick. Hitchens had to start 11 games as a rookie with Sean Lee missing the entire year and injuries to Justin Durant and Rolando McClain. He performed solidly despite his inexperience, helping the Cowboys get back to the playoffs for the first time since 2009. Hitchens remained a key rotation player in 2015 and eventually became a full-time starter for his final two years in Dallas. He was never a dazzling play-maker but was one of the most reliable players on the defense during his tenure. The Kansas City Chiefs thought enough of Hitchens to give him a five-year, $45 million contract in the 2018 offseason. 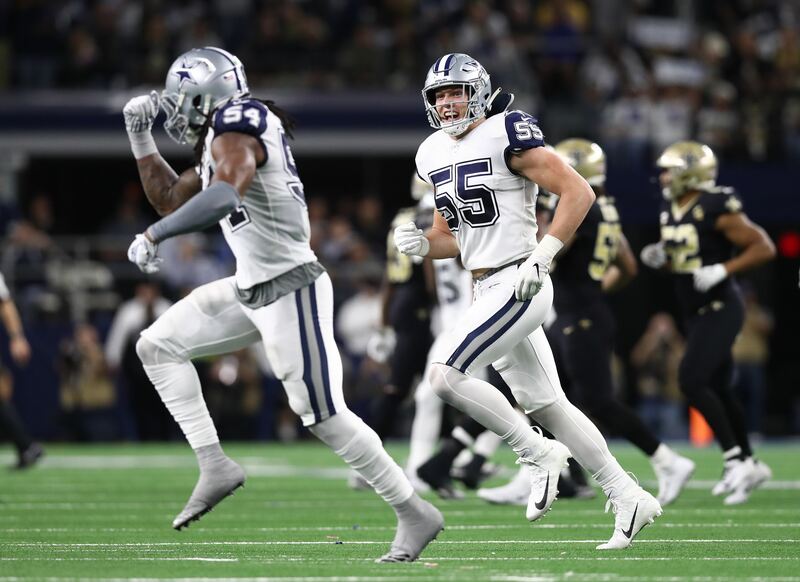 In fact, Dallas was awarded an extra fourth-round pick in the upcoming 2019 draft thanks to Hitchens leaving in free agency and signing a lucrative deal. 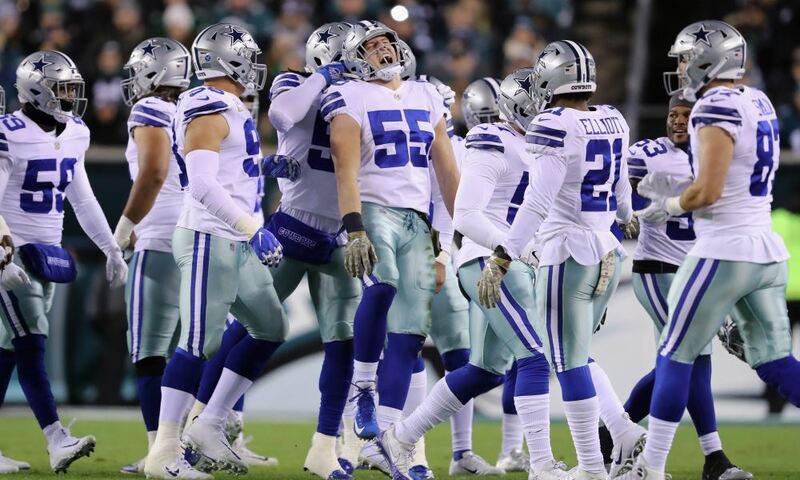 The Cowboys got four years of strong play out of Anthony Hitchens and even got a fourth-round pick, the same round in which they'd drafted him, out of his departure. That's a fine outcome for any Day 3 selection. One alternative; safety Tre Boston went nine picks after Hitchens to the Panthers in 2014. You can't argue that Hitchens was needed during his time, but landing Boston in the draft could also have been very useful for the Dallas defense. Sadly, this is where our success stories end. Dallas packaged their original 5th and a 7th-round pick to move up and take Devin Street. He only got seven targets as a rookie and then was injured during the 2015 training camp, which cost him more opportunities to grow. He received just 13 targets that season. Street didn't survive final cuts in 2016 and landed on the Patriots squad. He bounced around several teams that year and the following offseason, eventually being released by the Texans before the start of the 2017 regular season. He hasn't been signed with an NFL team since. Had Dallas just stood pat at their original spot in that 2014 5th round they might've been better off. Detroit used their pick to take DT Caraun Reid, who ironically landed with the Cowboys last year and was a solid reserve. Dallas also could've taken Ricardo Allen, a solid defensive back, who went right after Street to the Falcons. Another interesting potential pick would've been QB A.J. McCarron, who went later in the 5th round. If Dallas has been in the QB development business back then, McCarron would've had a year of grooming and then been on the roster for the disastrous 2015 season when Tony Romo was injured. 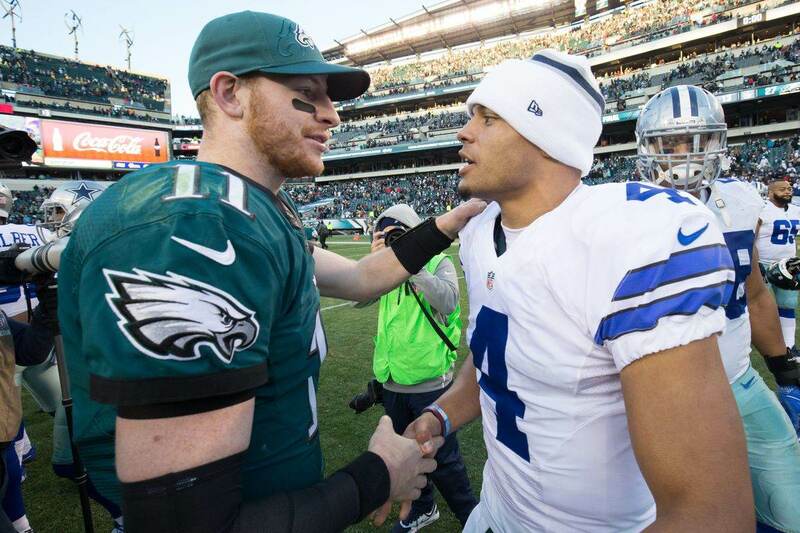 It could've led to a very different timeline for the Cowboys, one where Kellen Moore never gets signed and Dak Prescott never gets drafted. I'm not saying McCarron was going to become a star here, but he might've been solid enough that things would've turned out differently for several parties. Four of these give guys are no longer in the NFL. Only Terrance Mitchell remains, and he didn't find his stride until he wound up with the Kansas City Chiefs in 2016. Mitchell parlayed solid performances in KC into a starting role with the Chicago Bears last year, but was injured after four games. None of these players finished out their rookie contract in Dallas. Gardner, Smith, and Bishop were all gone by 2016. Ahmad Dixon was cut before Week One of his rookie year after reporting late to a team meeting. Coincidentally, undrafted linebacker Keith Smith wound up having more of an impact for the Cowboys than any of these 7th-round players. He was a special teams standout for four years and converted to fullback in 2016, helping block for the league's leading rusher in Ezekiel Elliott. When Special Teams Coach Bisaccia left for Oakland last year, he took Smith with him as a free agent. Looking back, 2014 was nearly a textbook draft for the Cowboys. They got two franchise players with their first two picks, even if they had to sacrifice their third-rounder to trade up for DeMarcus Lawrence. They also landed a multi-year starter in Anthony Hitchens in the fourth round. If just one or two of their seventh-round guys had amounted to anything, this would be one of the top draft classes in Dallas history. At least they found some value in Keith Smith among the undrafted free agents. But even as it stands now, 2014 still goes down as a very solid performance by Will McClay and his crew. Five years later, Lawrence and Zack Martin are two of elite players on the Cowboys roster. A re-draft would have both of them in the Top 10 picks of this entire class. We can only hope that the Cowboys will do as well in two weeks at the 2019 NFL Draft.